A variety of townspeople all in a seated position to use on park benches or sitting on a low wall. These folks are resting, talking or watching children play. A variety of townspeople all in a seated position to use on park benches or sitting on a low wall, stone fences, or chairs. 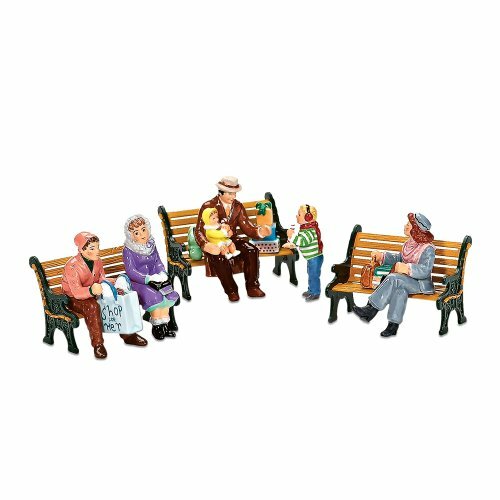 Set of 6 figurines represents people posed to take a seat.